Hello and happy Hump Day! Want to see some outfits I threw together? These are all skirts and dresses. I love love love love love this dress. 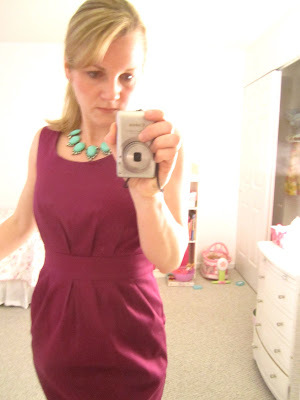 I found it at the Ann Taylor outlet last year and as soon as I put it on, I scooped it up. It was a great price - I think around $39. It's flattering, comfortable and just plain great. I don't wear many accessories with it: the print is enough. And hello - it is time for a haircut. 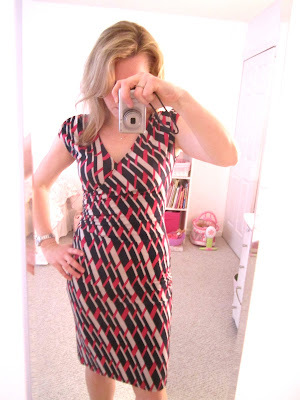 Jamie will recognize this dress: we found it together in 2011. We were at, of all places, the Elmira New York Target. We were there for a wedding years ago and both of us found amazing dresses at unbelievable prices (pretty sure my dress was $24). We wore them to the wedding that night. I have since had it tailored to fit even better. It was a hot April day so I wore it with a turquoise bubble necklace I got from the j.crew outlet (ha, also with Jamie!). Hair went into a low side pony and that was that. This is such a cheater outfit. I wore it to a deposition that I defended. You're technically supposed to wear a suit, but it was a Friday and I was defending and ... well, sometimes women can get away with a fancy skirt outfit. Anyway. 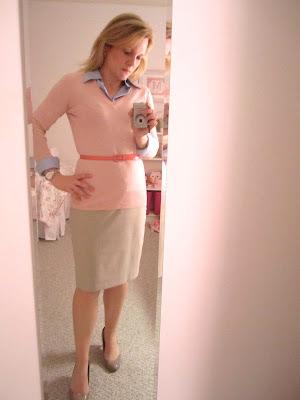 I wore my favorite taupe pencil skirt (Limited) with a blue buttondown blouse (New York & Co.) and an old pink v-neck sweater (Banana). 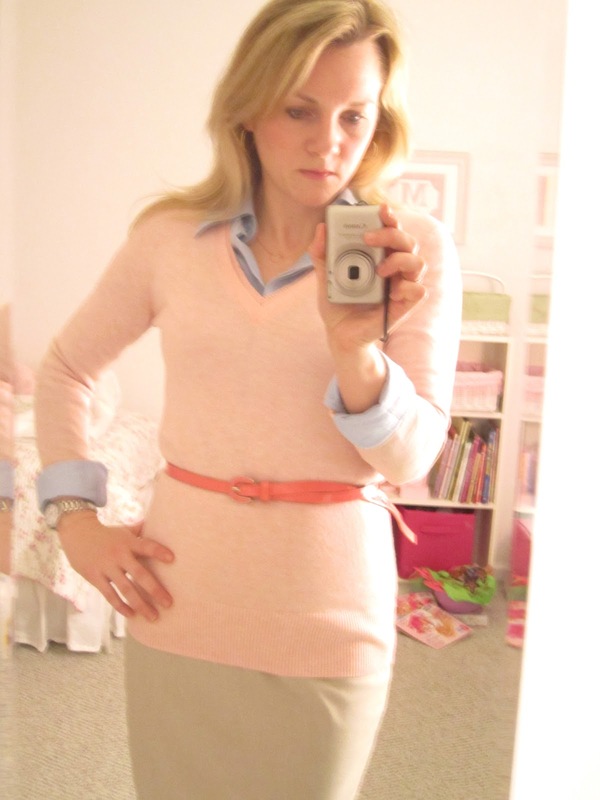 It needed polish, so I grabbed my skinny coral belt from New York & Co.
Shanna you look great in all of these!! !